Sony’s premium telezoom for full-frame will cost $2600 when it reaches US consumers in July. The 1.4x and 2.0x teleconverters designed for the 70-200 will each cost $550 and are also expected to ship in July. A recent announcement from Sony Japan indicated that the 70-200 would be delayed until September, but according to Sony US, the lens will indeed be available to customers in North America this month. The September release date still stands for Japan. Today, Sony has also released pricing and ship timing for the FE 70-200mm f/2.8 GM OSS G Master lens, 1.4x and 2.0x teleconverters plus their new wireless lighting control system. All products were introduced earlier this year. One of the most eagerly anticipated lenses of the year, the Sony FE 70-200mm f/2.8 GM OSS G Master lens takes its place as the flagship telephoto zoom in the Sony lens lineup. Featuring built in Optical Stead Shot (OSS) and a fast f/2.8 maximum aperture across the zoom range, the lens will be an ideal fit for nature, sports, travel, fashion, beauty and wedding photographers. 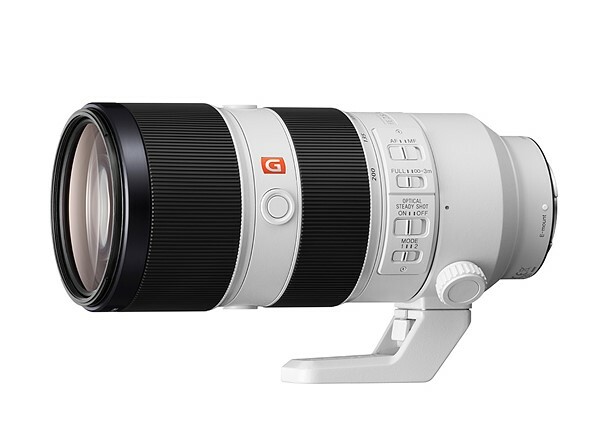 This lens will ship this July for a retail price of $2,600 US and $3,300 CA. Designed exclusively to fit the 70-200mm F2.8 G Master lens, the new 1.4x and 2.0x teleconverters (models SEL14TC and SEL20TC) will both be sold for the same retail price of about $550 US and $700 CA, and will ship this July. The versatile new wireless flash and control system – comprised of the FA-WRC1M wireless radio commander and the FA-WRR1 wireless radio receiver – was designed to meet the growing demands of professional Sony photographers. With a maximum range of 30m (approx.. 98 feet) and the ability to control a maximum of 15 separate flash units in 5 different groups, it offers a flexible wireless flash shooting experience with exceptional performance. The FA-WRC1M commander will be sold for about $350 US and $480 CA. The FA-WRR1 receiver will be sold for about $200 US and $280 CA. Both products will ship this August. The new lenses, teleconverters and wireless lighting system will be sold at a variety of Sony authorized dealers throughout North America. A variety of exclusive stories and exciting new content shot with the new lenses, accessories and other Sony α products can be found at www.alphauniverse.com, Sony’s new community site built to educate, inspire and showcase all fans and customers of the Sony α brand.